1UP: Regarding Halo Anniversary, how do you view the addition of Kinect functionality? Do you think it was successful or not? FO: Yeah, it was fun. Because Halo Anniversary is sort of a curated historical piece, we were able to play around with [Kinect] in really fun ways that I don't think we could do with a mainline Halo sequel. 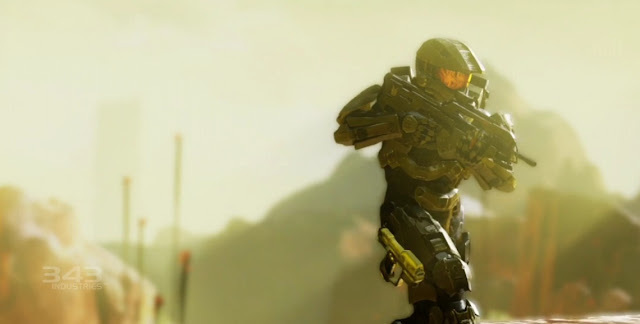 So Halo 4 won't have any specific Kinect functionality in that way; it's a core first-person shooter. But Kinect is still... I keep telling my Tivo to pause, and it's so aggravating when it doesn't [do that]. So I think that Kinect is going to be a more natural part of your Xbox experience, and a more natural part of your gaming experience period [through a specific] kind of interaction. We're definitely looking at it for Halo stuff, but not for Halo 4. We have other ideas of where it can be really cool to use [Kinect] and appropriate ways to use it. I personally used Kinect once to try it out in two run throughs of Halo: Anniversary - it's simply easier to press a button on the controller than to say a command and then have a short delay before the requested action occurs.